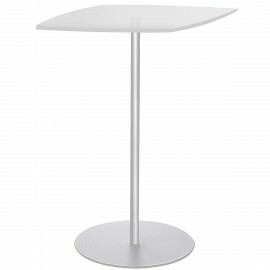 Description: Is a small, elegant occasional table, in silver. 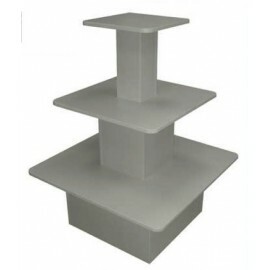 Consists of an aluminium post with base, and a top shelf cm 48x48, silver painted MDF. 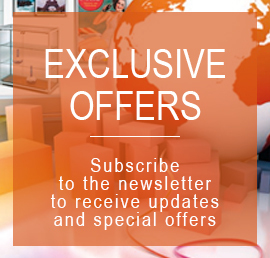 Presents an aesthetic combines with the balusters Stopper control barriers. EXTERNAL DIMENSIONS: 48x48x105h cm For more information, call 049.8710777 o compila il modulo sottostante. 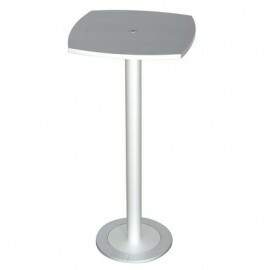 Description: Promotional coffee table with top in plexy 48x48 cm and aluminium upright. 45 cm diameter round base. Can be used as floor door-catalogues, door-laptop, for fairs and events ... Available upon request with double column. Dimensions: 48x48x105h cm For more information, call 049.8710777 o compila il modulo sottostante. 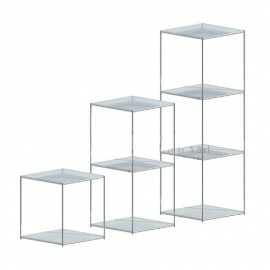 Description: Is a shelf in painted metal, plexiglass shelves with 4 cm 49x45. Total height 136 cm. IDEAL FOR: All kinds of shops, private homes. For more information, call 049.8710777 o compila il modulo sottostante. Description: Modular sales counter, with glass casket. Structure in white or grey chipboard. 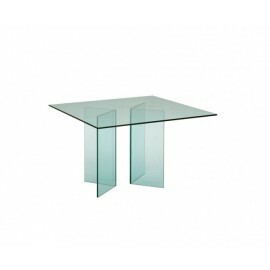 8 mm tempered glass top, 6 mm tempered glass front. Pull-out drawer casket. Dimensions: 60x60x90h cm For more information, call 049.8710777 o compila il modulo sottostante. 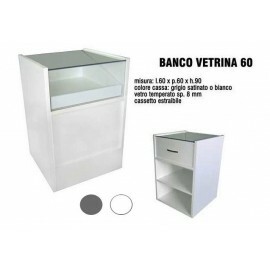 Description: Drawer unit w 3 drawers, glazed grey or white MDF. Standard size cm 58x42x58h. 90x42x58h format is also available upon request. 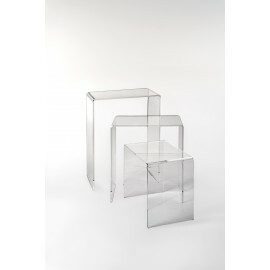 Dimensions: 58x42x58h cm For more information, call 049.8710777 o compila il modulo sottostante. Description: Chest of drawers with 2 drawers, glazed grey or white MDF. Standard size cm 58x42x40h. 90x42x40h format is also available upon request. 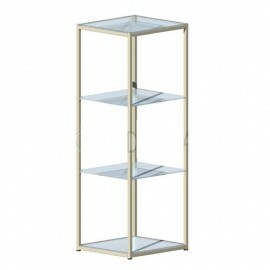 Dimensions: 58x42x40h cm For more information, call 049.8710777 o compila il modulo sottostante. 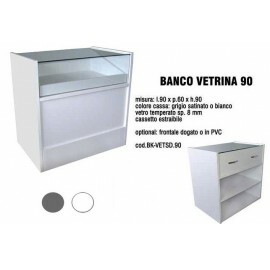 Description: it's an exhibit table to store furniture, made of MDF. It is available in white or grey. External dimensions: 80x80x84h cm IDEAL for shops, exhibitions, etc.